The word ‘data’ often conjures up images of files, documents and spreadsheets. In a customer experience context, however, this is not always the case. Phone conversations remain a vital means of interaction between many businesses and customers, being an inextricable part of the overall customer experience. 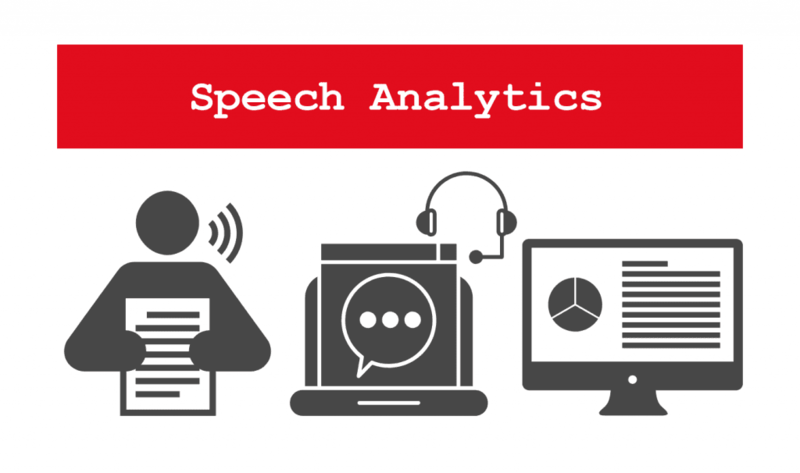 Speech analytics involves using Speech Recognition, Speech-to-Text and Natural Language Understanding to extract business insights from speech data. Why is Speech Analytics important? This speech data contains a lot of explicit and implicit customer feedback. Feedback contains consumer insights, which can be used to create actionable business decisions. How to analyse this speech data? The first step of the answer is surprisingly simple: use a speech-to-text engine to transcribe the audio as text. Modern systems for speech recognition are able to perform with a high level of accuracy and are scalable for large datasets. The latter is particularly important for large multinationals, who may have many gigabytes of data to analyse. Below is an example of a typical speech-to-text workflow. How does Gavagai handle Speech Analytics? Once the speech data has been decoded into text, our classic analysis can go ahead as usual to extract insights from the data. We apply the state-of-the-art techniques in Natural Language Understanding, Topic Modelling and Sentiment Analysis to unstructured text, performing a qualitative-to-quantitative data analysis.